The new upgrade offers users the opportunity to experience true cinema quality images, in the comfort of their living room. ASIA PACIFIC, 28 April 2016 – Following the arrival of the first 4K Ultra HD Blu-ray film releases by Sony Pictures Home Entertainment, Sony is delighted to announce that it is bringing 4K HDR capability to its VPL-VW320ES home cinema projector. 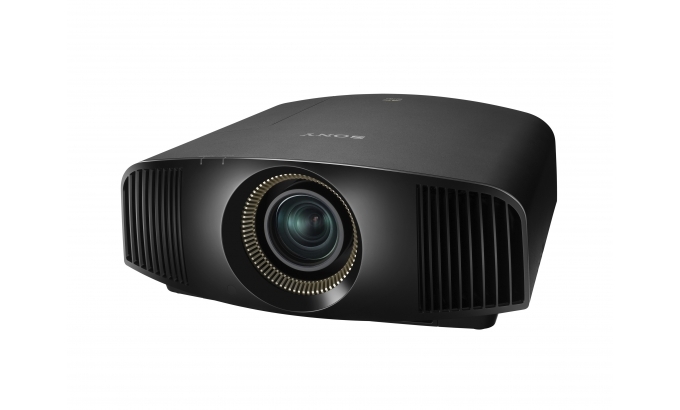 Continuing the momentum built from the projector´s initial release at IFA 2015, Sony is offering customers a new firmware update to ensure they’re getting the best possible image quality from their projectors. This upgrade highlights Sony’s commitment to developing HDR support and ultimate image quality across its home cinema portfolio. It gives the VPL-VW320ES a second life, making it the third Sony home cinema projector in the existing range, after the VPL-VW5000ES and VPL-VW520ES, to support the 4K HDR format. Cinema enthusiasts will now get the opportunity to experience total immersion through the imagery displayed from their VPL-VW320ES projector, by enjoying HDR content with a high contrast ratio. HDR imagery is the closest representation of the reality our eyes see every day, with greater detail, high contrasts, increased colour depth, brighter highlights and deeper blacks. Watching content in 4K HDR gives customers the opportunity to view this content in a way they’ve never seen before, with 4K offering four times the detail of standard HD. HDR can produce images of such high quality and solidity, that users feel as if they are seeing the scene with their naked eye. With HDR, seeing, truly is, believing. “We always want to provide our customers with the best possible image quality from our market leading digital cinema solutions, which is why we’re thrilled to announce this latest firmware update. With 4K fast becoming the new standard in broadcast and film, our customers increasingly expect to see this detailed crystal clear imagery reflected in their living rooms. In line with our other 4K HDR solutions offering, such as our BRAVIA™ screens and by Sony Pictures Home Entertainment´s upcoming 4K ULTRA HD Blu-ray film releases, we’re pleased to extend this future proofed technology to the VPL- VW320ES,” said Lawrence Tang, Senior Manager, Visual Presentation Solutions Division, Professional Solutions Company (PSAP), Sony Electronics Asia Pacific. Sony has also developed a new unified control protocol for its projector range, enabling intuitive and easy integration when various models are used within the same installation. The firmware update is available by the end of May 2016 for existing and new customers here.